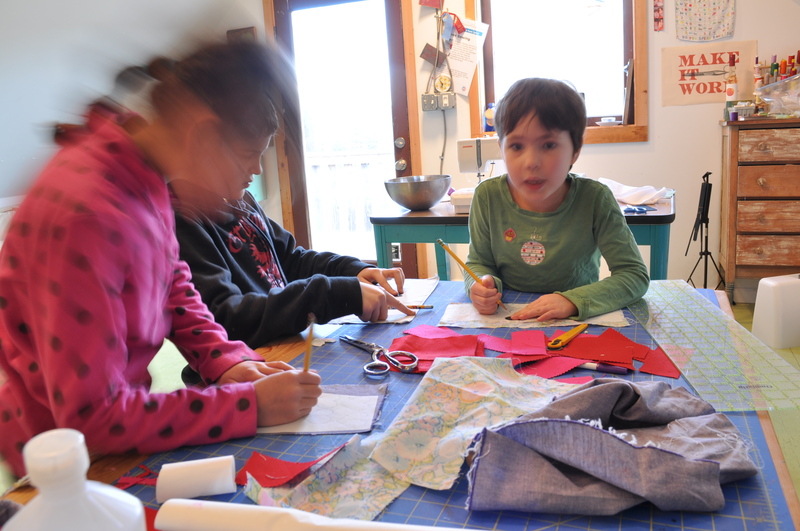 My boy had a couple pals over yesterday after school and knowing these crafty girls well, I thought I’d take the opportunity to get some school Valentine making underway – it’s always more fun with a crowd. It was as simple and fast as mass Valentine making must be, and they nearly completed them all in about an hour. 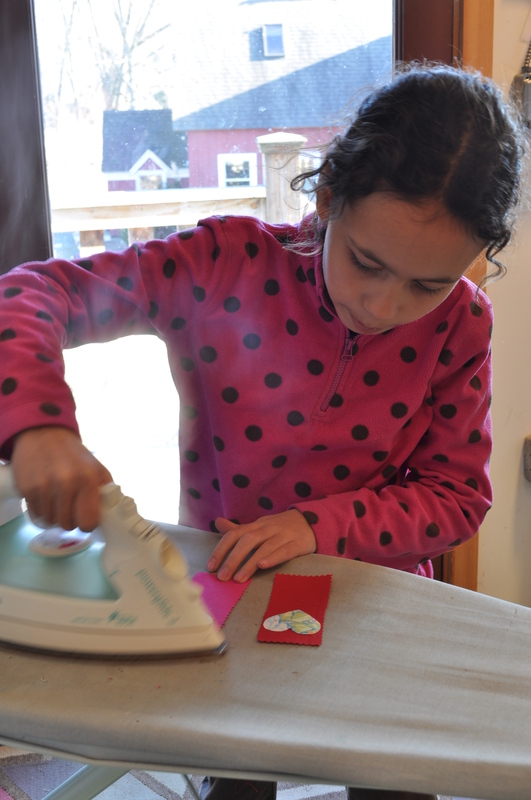 I am always in favor of making something that will be used and not simply tossed, so we settled on bookmarks (which required no trip to the store) made on the sewing machine. 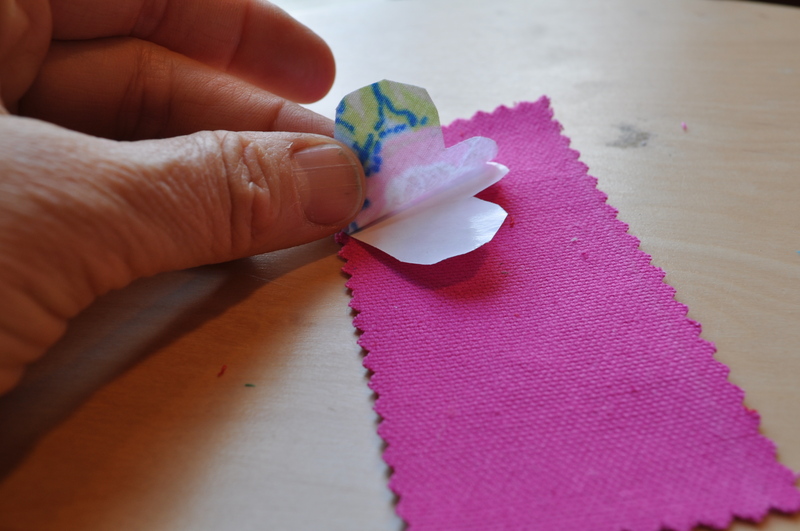 1) Cut as many bookmarks as you’ll need with pinking shears so you son’t have to worry about fraying. 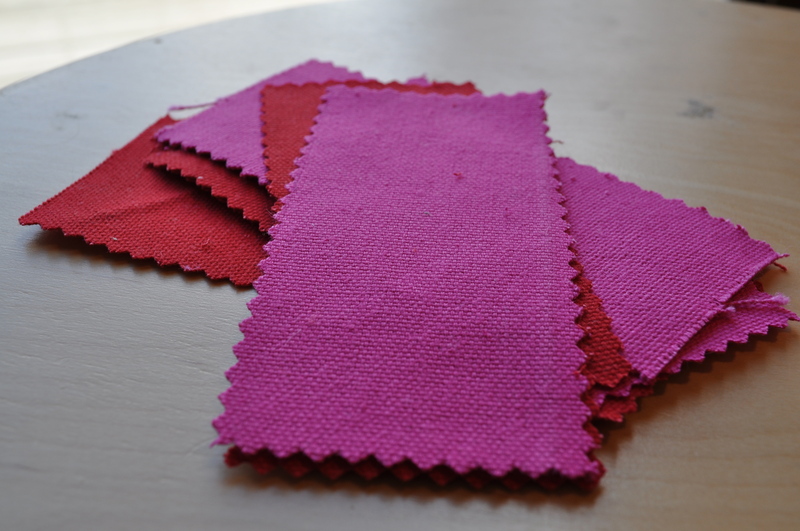 These can be any size or color, but a heavy fabric will make the nicest bookmark – not too flimsy. 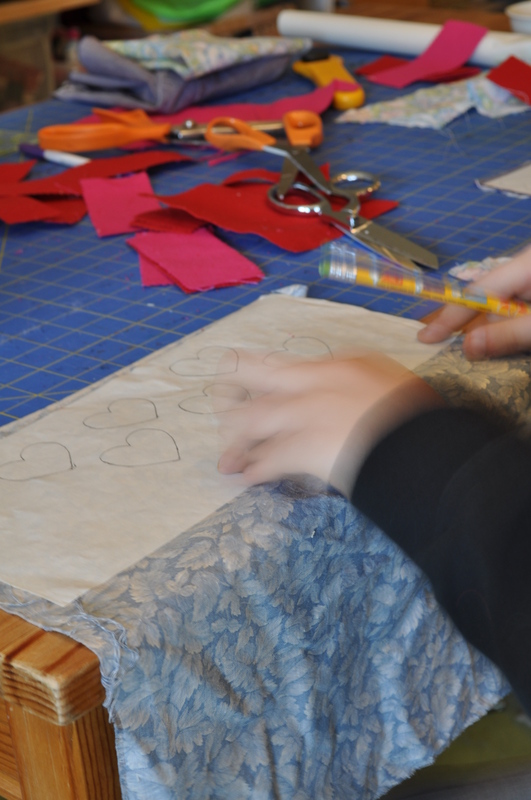 2) Choose a decorative fabric that will become the hearts and press a piece of fusible web to the back, leaving the paper on to trace shapes for cutting. 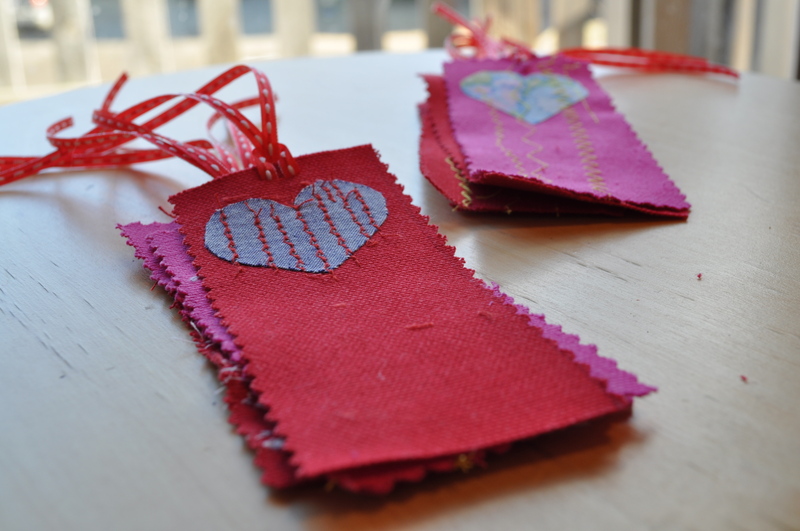 3) After cutting the hearts out, peel off the paper backing and fuse onto the bookmark with a hot iron. 4) The fusible web will hold that heart in place while you sew, but it isn’t a permanent bond so the sewing has to happen. If you don’t have a machine, these can be hand stitched in place, of course. Both ways are fun, but the machine is faster. 5) I made a slit at the top of each and added a length of ribbon to complete the bookmark. They are all so different and I could hear Harry saying the names of the kids in his class as he made each one. 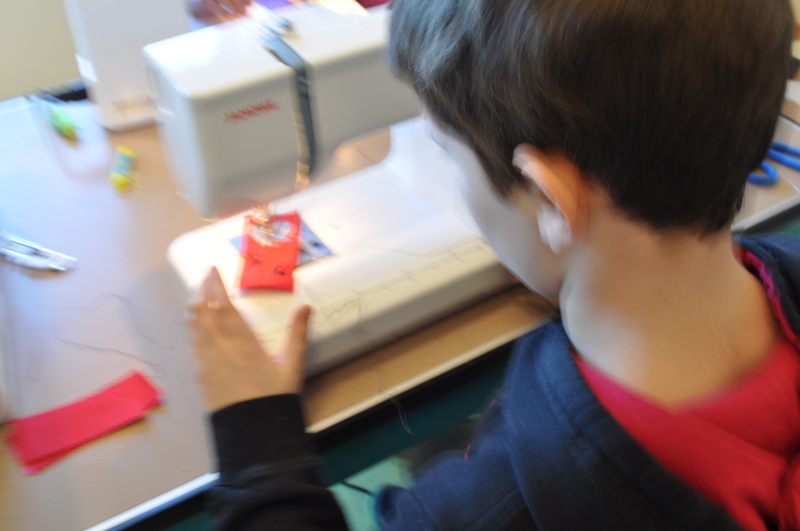 The youngest sewist of the bunch made zig zags down the length of each bookmark so it sewed the heart in place and created nice decorative lines at the smae tim. I think this is a good method for kids who are new to the machine or on the younger end. She never, however, forgot to put her presser foot down! I find that commendable. So, I sent them home with what they needed to finish up and I know Layla will get her machine out to make it happen. 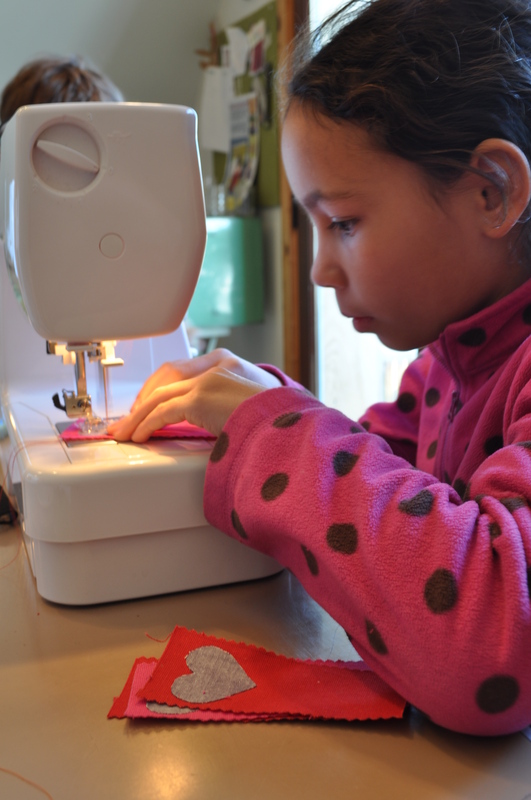 Apparently, she is currently making a dress for her younger sister. Love! After about an hour of stitching and eating popcorn, my husband came in to announce the potential of the STORM OF THE CENTURY and that we best get out skating on our pond before the skating season ends abruptly. So we did and it was glorious as always. It has been an amazing week of skating and I love it so much I am pushing through the incredibly stiff and sore otherwise unused skating muscles to get out there every day. This is what makes winter wonderful and I know how lucky I am to live here! 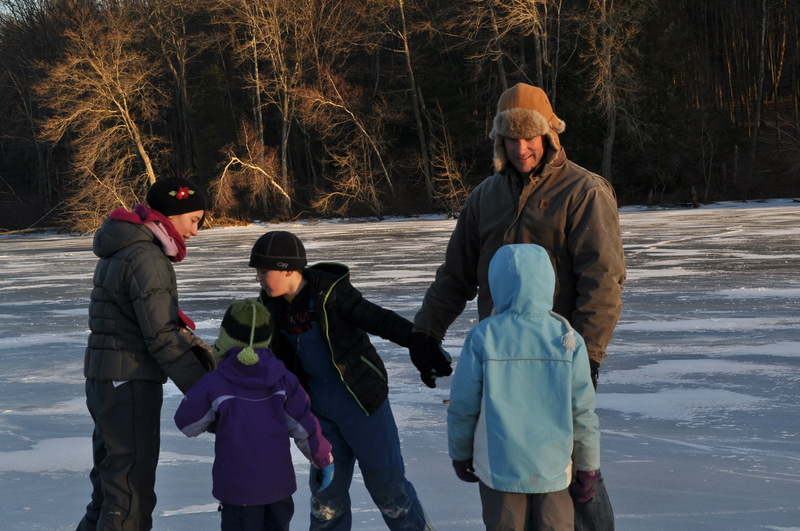 It was so cold and the ice boomed and moaned with expansion pains – such a weird and disconcerting noise, though we always tell everyone that they are the “good” ice noises – meaning, the ice is thick and cracking to make room for more ice, not thin and cracking so you get wet, cold, and freaked! 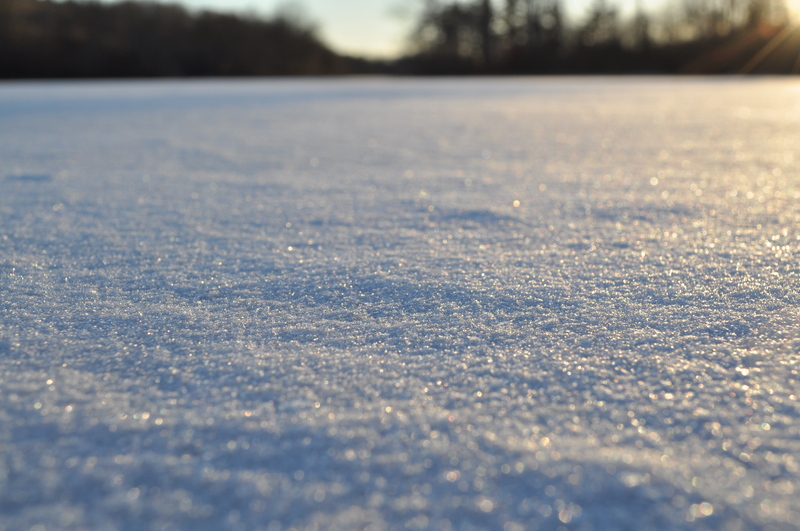 I think my favorite time of day is when the sun gets low and illuminates one side of the snow and ice crystals. It is so pretty and sparkly, I could cry. Happy Winter again, and have a lovely loving Valentine’s Day. 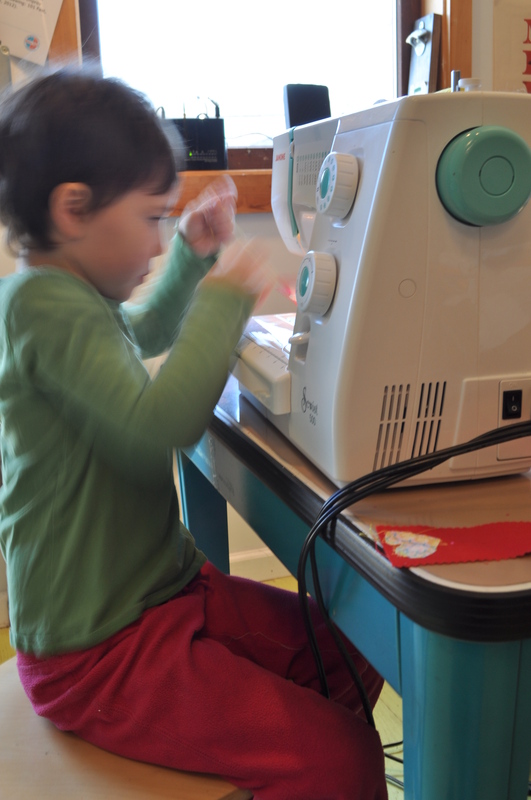 Stay tuned for some Valentine making, as there has been more going on – a new sweater for Ava?! Something in the works for Harry. 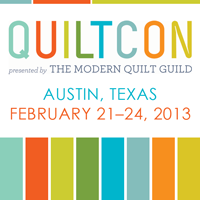 I’ll try to get the tutorials up soon so you can maybe make something too! Such a great idea!! 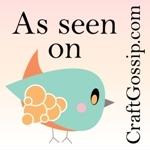 Just posted on Craft Gossip:) Happy Valentines Day! I’m really loving the theme/design of your blog. Do you ever run into any browser compatibility problems? A couple of my blog visitors have complained about my website not working correctly in Explorer but looks great in Safari. Do you have any suggestions to help fix this issue? Thanks! I haven’t had any comments about the browser compatibility issue. Do you use wordpress? I wish i had an opinion, but I have nothing to ofer. best of luck!